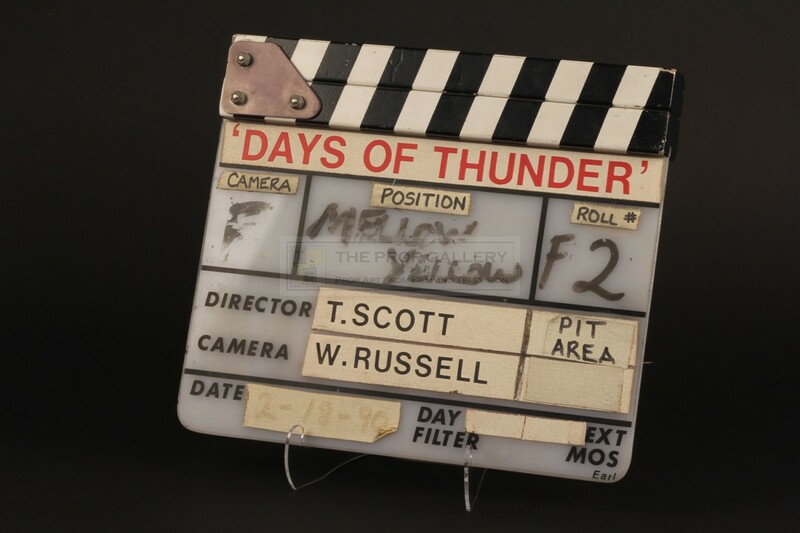 An original clapperboard used in the production of Days of Thunder, the 1990 sporting drama starring Tom Cruise under the direction of Tony Scott. 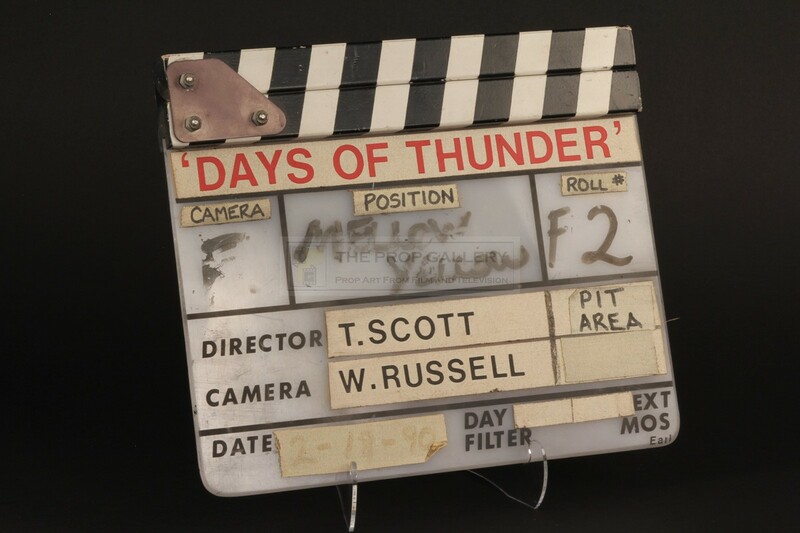 This production used clapperboard is constructed from semi translucent perspex with an affixed wooden clap stick and features the movie title 'DAYS OF THUNDER' in red lettering over a white tape with the names of director Tony Scott and director of photography Ward Russell in a similar fashion below this time in black letters. The board features spaces to record the camera, position and roll number and retains the date from its final use during the production '2-18-90', this faded but legible, the camera position is hand inscribed 'MELLOW YELLOW' (sic) in marker with a further hand inscribed sticker ' PIT AREA' to the right of Scott's name, this pointing to the fact that this board was likely used when shooting car close ups. To the verso are several stickers which are hand inscribed with numbers for use when marking up the clapperboard for various takes. 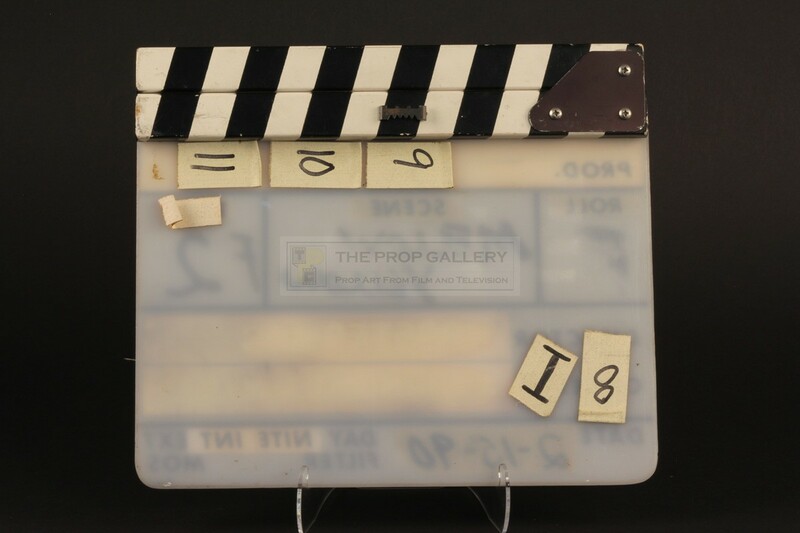 The clapperboard measures approximately 11" x 9.5" and remains in excellent condition with edge and surface wear consistent with prolonged use during the production. 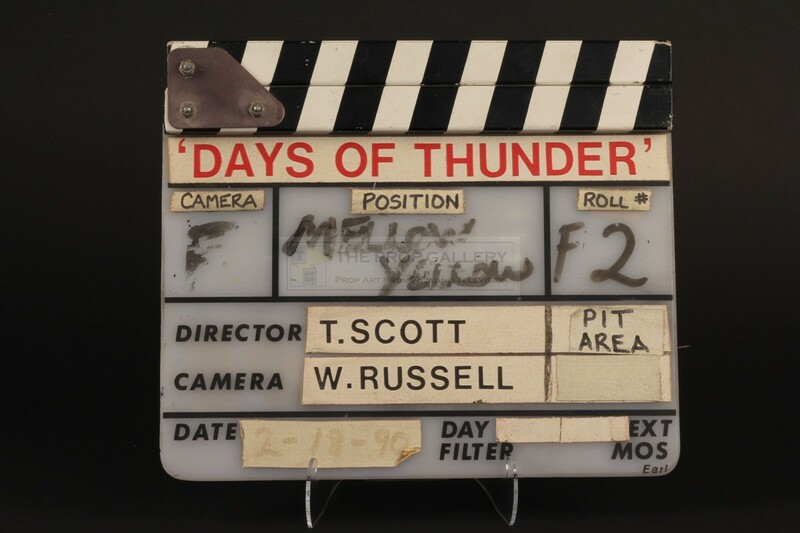 A fine example of the iconic clapperboard from this Academy Award nominated American classic.